is a multidisciplinary designer based in downtown Oakland, California. She is a design strategist, information architect, writer, and interactive data visualizer. What happens when a little t-shirt project to commemorate a wine trip with friends turns into a little t-shirt brand? Well... ouaisCOOL happens. We'll see where this goes! 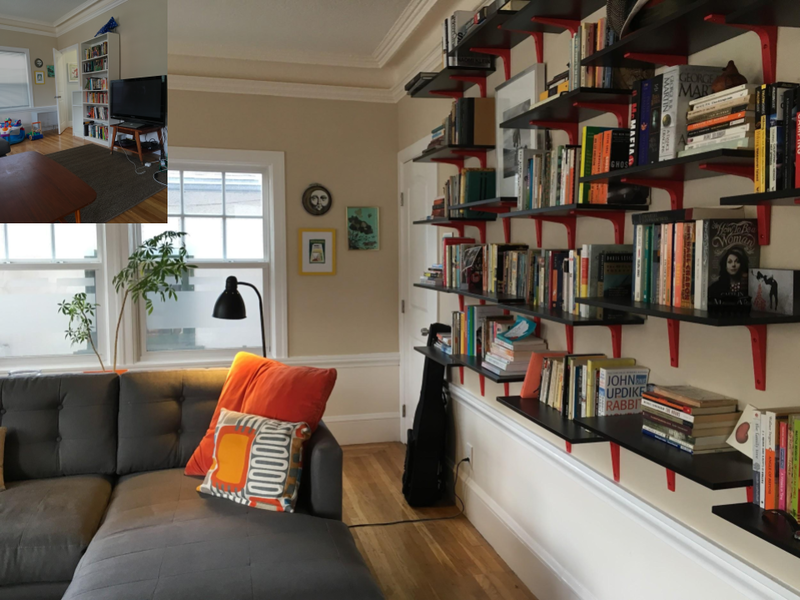 A friend let me redesign her sitting room on a $500 budget. With interiors, I like to shift volume into under-utilized vertical space and let the baseboards breathe. What if breastfeeding mothers never had to pump at work again? This system and experience design imagines how that might be possible. How might we help millennials start investing? In my Master of Design program, I designed a mobile app prototype using Sketch, Framer, and InVision. I wrote, directed, and compiled the user-empathy demonstration video using an iPhone 5 SE, Keynote, and iMovie. My process for developing the visual language for the "Yes" mobile app included this physical mood board, which helped clarify choices around color palette, typography, line weight, and shape. Before the "Yes" mobile app was visually designed, I hand-sketched a 16-panel storyboard to demonstrate its prototypical use case and develop empathy with its target millennial user. In my Master of Design, I wrote and crafted this interactive pop-up book. It was designed to build empathy for a particular group of people who face some form of stereotype or unfair judgement everyday. Here I was in the process of hand-knotting 1,000 feet of elastic cord to three feet of threaded rod. I suspended the concentric rings joined by elastic cord from four lengths of white cord connected to the center ring. Here I was in the process of nailing guides to nine 12"x12" canvas frames to create an appropriation of Magritte's The False Mirror with thread. I bound the nine 12"x12" canvas frames together with twine, creating a one-cubic-foot piece of surrealist appropriation inspired by Magritte's The False Mirror. Inspired by one Japanese coin, I drilled 1/8" holes into 127 foreign coins collected over a period of years from five continents. Here I documented the final piece, an eighteen-inch necklace made of 127 destroyed foreign coins and some handmade glass beads from West Africa. Here I am in the process of creating an interactive cube that invites someone to turn, move, rub, and grab. I documented the final outcome of a simple cardboard cube that invites a person to interact with it in four specific ways. I drew some rough sketches inspired by the sight of a female colleague at the Gates Foundation sporting a yellow pencil through her grey bun. 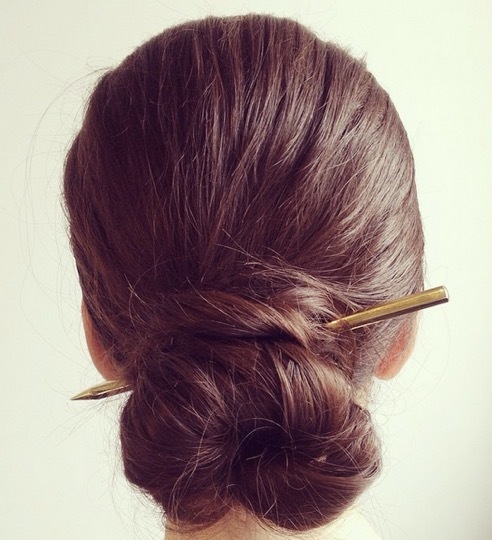 My pencil hair stick concept was rendered in solid 18K gold by a master goldsmith and marketed under the now-defunct Coléoptère jewelry brand. I drew initial inspiration from this Josef Albers piece to create a large playground mural at an Oakland Montessori school. With the help of a small team, we painted this mural at a local Oakland Montessori school featuring a lower panel intentionally left blank to invite the work of little artists. Inspired by Annie Leibowitz's book Women introduced by Susan Sontag, I started this sketch based on one of the photographs. I left the sketch in a friend's studio in New York so I have something to look forward to finishing when I return.